NYCC students can join Seneca Falls Country Club for just $350 (plus tax) for the 2018 season! SFCC is just a driver and a wedge south of the New York Chiropractic College campus on Route 89 in Seneca Falls. Enjoy our golf course, amenities and tap room. Make SFCC your home away from the dorm this spring, summer and fall! 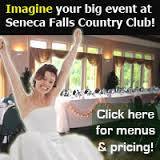 E-mail gm@senecafallscountryclub.com or call 315-568-5202 to inquire about your NYCC Student Membership!